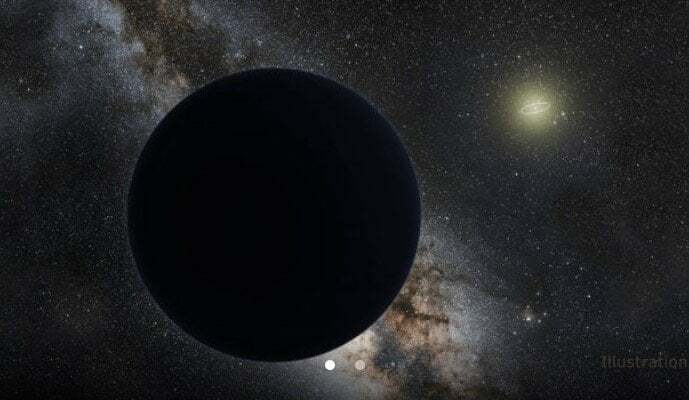 Scientists continue to search for the mysterious Planet X, which is believed to be located at the very edge of our solar system. However, instead of Planet X, scientists have now discovered a new dwarf planet they have dubbed “the Goblin.” Astronomers now wonder if the discovery of the new dwarf planet means the mysterious Planet X is nearby, but we just don’t see it. The new dwarf planet has a 40,000-year orbit and is located far away. The massive size of its orbit measures more than 2,000 times the distance between the Earth and Sun. “I think we are nearing the 90% likelihood of Planet X being real with this discovery,” Carnegie Institution for Science astronomer Scott Sheppard told CNN. Because scientists initially observed the new dwarf planet around Halloween 2015, they named it the Goblin. They consider it an inner Oort Cloud Object. The Oort Cloud is a sort of shell surrounding our solar system. It’s filled with trillions of icy bodies and is believed to be the birthplace of long-term comets, according to CNN. The Minor Planet Center at the International Astronomical Union formally presented the new dwarf planet with the name 2015 TG387 on Tuesday. Sheppard, Chad Trujillo of Northern Arizona University, and David Tholen of the University of Hawaii submitted their findings to the Astronomical Journal. “This new object has the largest orbit of all the extremely distant objects that stay well beyond Pluto,” Sheppard said. Since it has such a huge orbit, the Goblin never moves close enough to the gas giants Jupiter and Saturn to be affected by their gravitational force. Its large orbit and slow movement allowed Sheppard and his team to study it for several years so they could properly understand it. Since the planet is too far away to be affected by the gas giants, scientists were wondering what could have contributed to its rather odd orbit. The first thing that came to their minds was the mysterious Planet X. Scientists believe that like other objects at the edge of the solar system, the Goblin is pushed into similar objects by an invisible force, which they suggest could be Planet X. Using the basic parameters they have for Planet X, they concluded that the Goblin behaves like it’s “shepherded” by a planet but doesn’t come close to that planet. Sheppard and his team continue their research on the new dwarf planet while hunting for Planet X by observing the northern and southern skies all year long.